> How to search using Category / Industry & Platform / Content Management System. > View & try the template on your Desktop / Tablet / Smart Phone. > How to order once you have confirmed the suitable template. > How to shortlisting suitable templates. > Process after ordering or shortlisting. Before you start anything, you will need to contact our sales person via email or phone. As we need to understand your Needs / Plan / Issues for making or re-vamping your website. After understanding, we will decide what to advise you. How to search using Category / Industry & Platform / Content Management System. 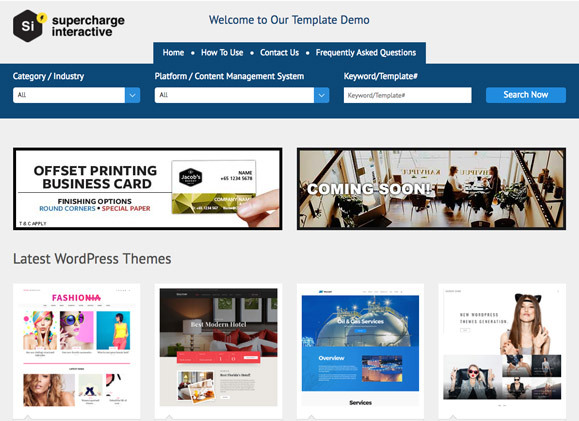 In our Template Demo there will be hundreds or thousands of website templates ranging from different Industry and different platform. 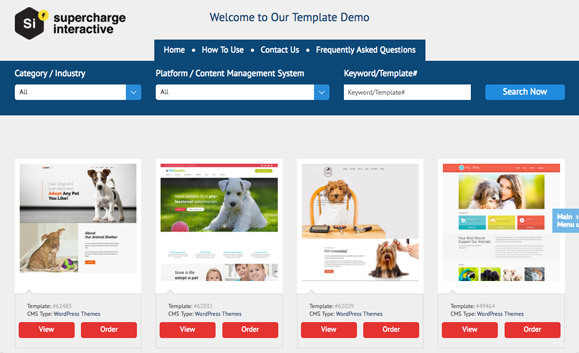 We understand that you cannot view everything at once nor you can spend a lot of time viewing everything and not to mention trying all the template. So, on the top of web page we have smart filters for your to filter down your search faster. 1. Category / Industry filter : Using this filter you will need to decide which is the closes match industry for your business. Your business is doing Legal Advice or a Law Firm. You should be filtering using Law or Business. 2. Platform / Content Management System filter : Using this filter you will need to check what CMS (Content Management System) is suitable for your website or hosting (note: some hosting company do not support all kinds of CMS). 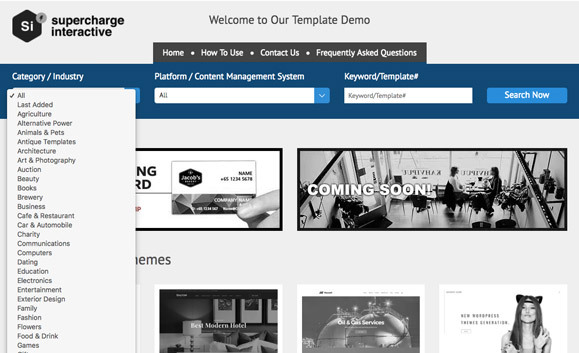 You can also choose Website Template, if you don’t need a CMS for the website as it will be static pages (this mean you do not need to change the content or images on the website very often). Your business is doing Pet Grooming or a Pet Shop. You should be filtering using Website Template or Wordpress Template or Drupal Template. Only when you would like to have an E-commerce website then you choose Woocommerce Template or PrestaShop Template or OpenCart Template. 3. 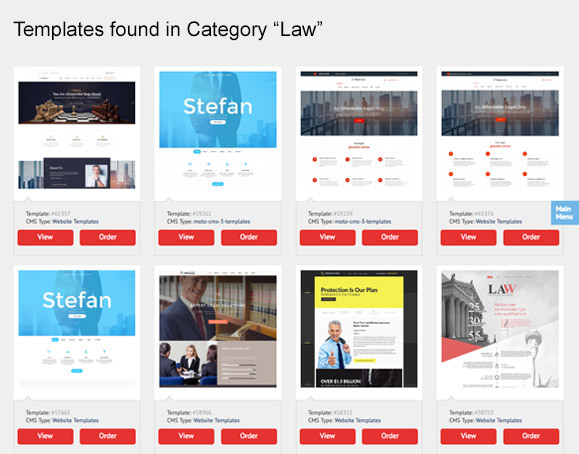 Keyword / Template # filter : Type in any keywords that is related to your business or trade or shortlisted template number for fast search. View & try the template on your Desktop / Tablet / Smart Phone. 1. After filtering and searching, you have decided to View a template you like from the Filter / Search results. You can click the Thumbnail / Image to view more detail about that template. Once you are on the template detail page you can view more images about that template on the left (Desktop) or top (Mobile) by clicking navigators or swiping the image. You can also try with different browsers and devices to see different. How to order once you have confirmed the suitable template. To order or confirming the template is very easy. All you need to do is to Click or Tap on the Order Now or Order Website button. Once you click or tap it will pop up a form, just fill in all the required information and wait for us to contact you back. Do call for us if we do not get you back within 3 working days. How to shortlisting suitable templates. If you couldn’t decide, you can always shortlist the suitable templates. You just need to record down the web address link and the template numbers. Email us the records so we can review it together with you on your requirements. Note: Please do not record a big list because it will be tough to strike off and it will also take a very long process to complete. 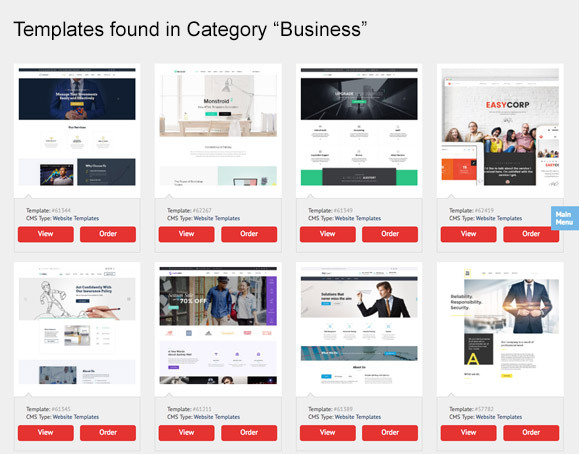 Ideally, try to keep around 2 to 3 shortlisted templates. Process after ordering or shortlisting. After you have send us your order or shortlist, we will study your requirement and schedule an appointment with you to discuss. After discuss, if all discuss does well, we will start working on your website. If you are not sure or understand how to use or what are the processes, you can always contact us via our email form or contact number.